Posted on March 29, 2011 October 29, 2011 by Tarleisio	This entry was posted in Uncategorized and tagged Acqua di Parma, Chanel, Christopher Sheldrake, Infusion d'Iris, Iris, Jacques Polge, Maurice Roucel, Miller Harris, Prada, Serge Lutens, Terre d'Iris. Bookmark the permalink. I'm not a big iris fan (though there are a few that I love, love love) so the only one on your list I've tried is the Chanel. But I had to comment on your description of Terre d'Iris…I got such a laugh about thinking of an iris fragrance with “titanium ovaries and a built-in attitude”! Might have to check that one out, though she sounds a might skeery! Great post! I am glad you love Terre D'Iris so much! I have one sample left and have not really tested it yet beyond a mere sniff. That needs to be remedied soon, it seems. B, yes…I thank you for this – and for Terre d'Iris, too! It wasn't exactly love at first sniff, but when I tried her again a few days later, I loved her very much indeed! Give her w whirl, I think you might like her! I love iris! 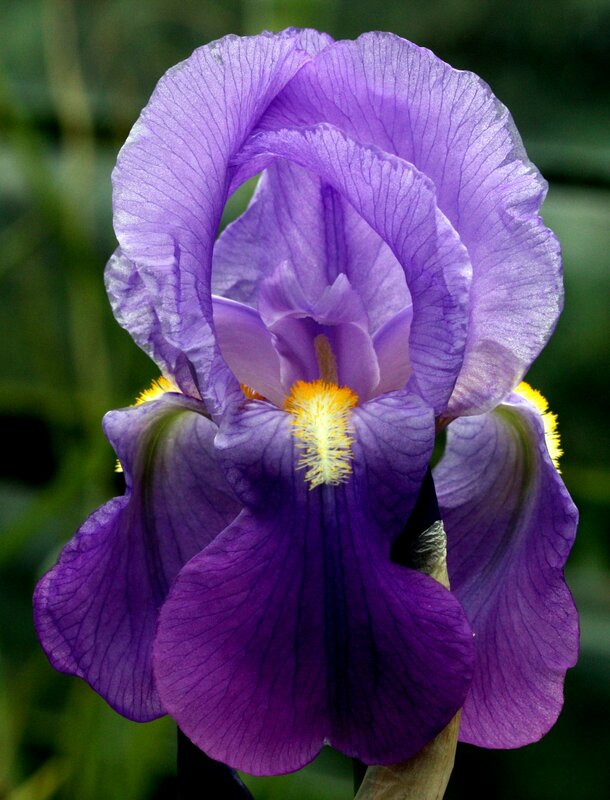 Or, at least, I love iris in a well-balanced fragrance… I was just thinking, “What iris' do I have in my collection?” And it occurs to me that while I have many, I don't love any of the true 'Queens of Iris' scents. Iris Silver Mist is an intellectual appreciation, but not really very wearable for me—same with Hiris and 28 La Pausa. They just seem to hate my skin, even when I try and play nice with them. Oh gods… Iris Ganache. I am almost afraid to try it! It's $250 for 50mL, right? That would just be a silly thing to do, to smell that one—Because I KNOW it's going to be one of those ones that I will die without. Haha! Your description of Iris Nobile is perfect. I'm not capable of maintaining the level of grooming required to pull it off more than once or twice a year…but on those occasions, ah well then it's a queen-maker. Quite! I am not much of an iris fan – my idea of a good iris perfume is that chilly Amazon No. 19. I did rather like PG Iris Taizo, and surprised myself by finding ISM pleasantly carroty and unpretentious. And I dig the green-rose-iris stunner that is Silences. But still… not an automatic iris fan, and comfortable with that. Dee…I feel your pain! Really, I do. Let's see what happens in the next month or so – and maybe there will be a bottle split or something in your future! I could say the same for this iris, too! Orange blossom is one of my favorite flowers, but I think it was the star anise that killed IN for me. Can't Stand. It. Oh dear! I have a sample of Iris Nobile on the way. Now I'm deeply worried. Must get my hair done, trim my nails, shave my legs, and dust all the skirting boards in my hose before she arrives!